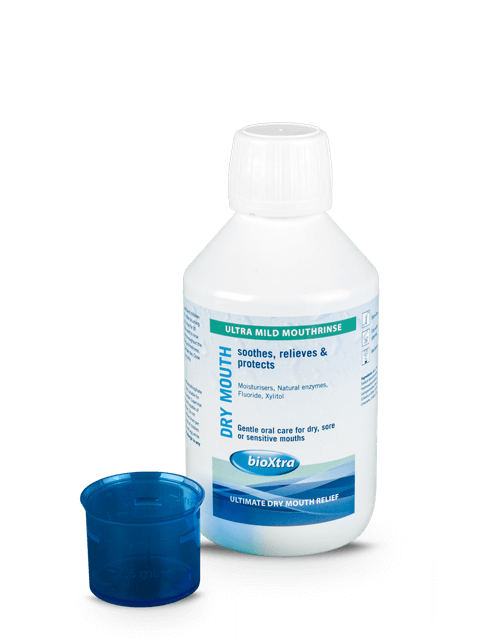 bioXtra Dry Mouth Gel Mouthspray gently supplements natural saliva by regulating the microenvironment of the mouth. 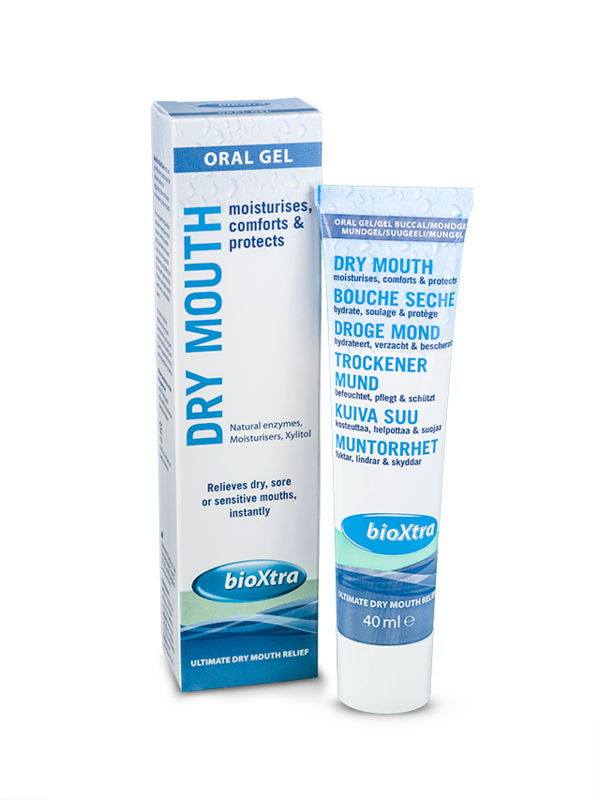 The formulation quickly and effectively moisturises, soothes and eases oral discomfort of Dry Mouth (xerostomia). 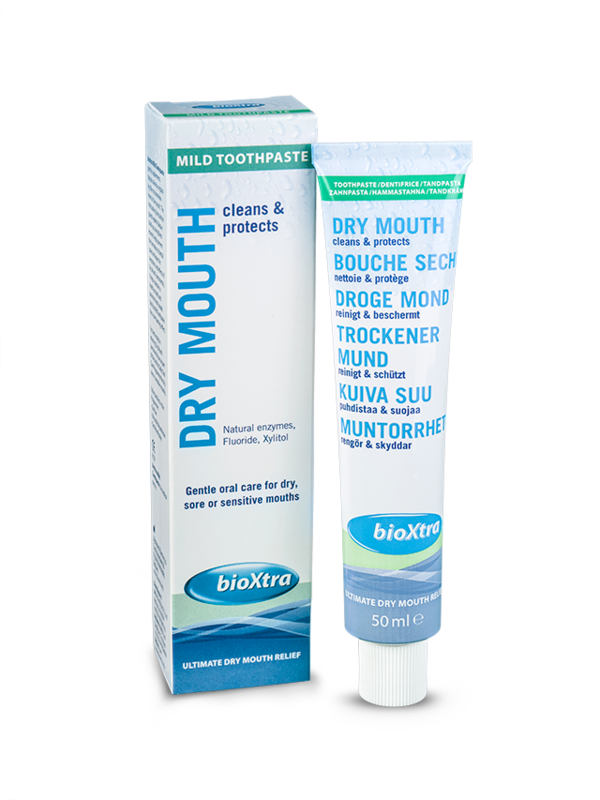 bioXtra Dry Mouth Gel Mouthspray helps strengthen enamel and fight against the formation of dental caries, whilst promoting fresh breath and comfortable gums. 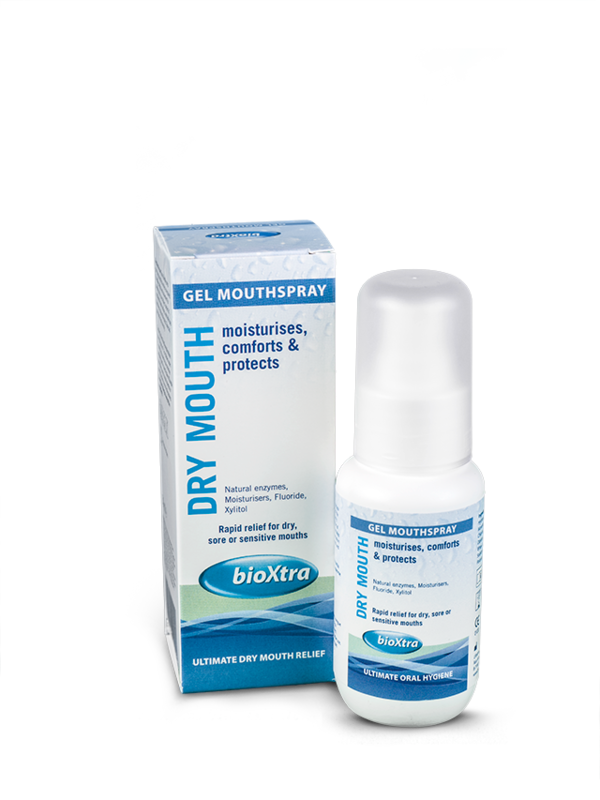 For convenience and immediate moisturisation during the day spray directly into the mouth as often as required.